When it comes to turning consumers into buyers of magazine single copies and other brand offerings, addressing their known hot buttons in new and compelling ways is the name of the game, said an editor and a publisher from magazine franchises that are highly successful at the newsstand, during a session at this year’s Magazines at Retail conference. The panel featured Patty Bontekoe, deputy editor for Bauer’s First for Women, and Dan Fuchs, publisher and chief revenue officer for HGTV Magazine, a joint venture of Hearst Magazines and Scripps Networks Interactive. Samir Husni, director of the Magazine Innovation Center at the University of Mississippi School of Journalism (at right in photo), moderated. Bontekoe noted that First for Women was launched more than 20 years ago to fill a void: “All other women’s service magazines were speaking to women as wives or mothers, rather than as women,” she said. 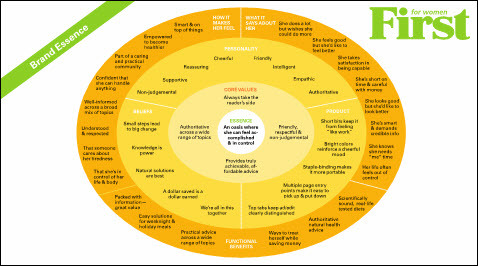 First instead devoted the bulk of the magazine to four core areas of personal interest identified as those that most compel the target audience of adult women with families: tiredness, stress, weight reduction and mood boosting, she explained. When choosing article ideas, she said, the editorial team asks itself “Is it ‘Google-able?,’ and ‘What is she dealing with and feeling at this moment?.’” If the topic is one the reader could already find much information about on the Web by doing a search, it’s rejected, because articles have to offer “something she didn’t know or hadn’t heard yet,” Bontekoe elaborated. Similarly, HGTV Magazine’s biggest challenge and opportunity at launch, and on an ongoing basis, is to “provide something unique”—but in this case, something that is consistent with the existing HGTV network brand, yet adds something that fans can’t get from the TV programming, said Fuchs. Fuchs explained that the overall HGTV brand—TV network, digital and magazine—reaches an unduplicated audience of 52.2 million, and that the magazine’s 7.6 million readership (not circulation) has overlap with network viewers of just 9.2%, and with HGTV’s online channels of just 1.7%. He emphasized that the magazine’s editors have done an outstanding job at producing content that offers unique, value-added benefits—and that one aspect of that is leveraging HGTV brand contests and promotions with “extra spins” for the magazine. Example: In a hunt for “America’s Most Desperate Kitchens,” winners were awarded kitchen makeovers, which were shown on the HGTV channel. But on TV and on the brand’s Web site, it’s being promoted that “to go behind the scenes, and to get the specific information you need to buy the products shown, you have to go and buy our July/August issue, which is ‘on the newsstands now,’” said Fuchs. 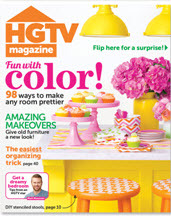 Conveying to advertisers that their target audience is in serious planning and shopping mode as they spend significant time reading the magazine—that the magazine is able to drive real purchase intent—has enabled Hearst to sell increasingly digitally-focused media buyers on the importance of buying the HGTV brand in print, as well as in digital and TV, he said. “Also, when we point out that the magazine has gone from zero to 1.3 million circulation in three years, advertisers understand that there’s something going on there,” Fuchs says. “The scale of the brand is attractive even to non-home advertising categories,” including food. 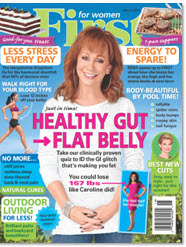 Another example: A brand partnership with Pure Leaf Tea that had both HGTV Magazine and another very successful Hearst joint venture, Food Network Magazine, run special, product-branded “It’s a Party!” content on their covers and inside. Both magazines’ issues were featured in a special display in Barnes & Noble stores, and both saw newsstand benefits. In fact, according to Fuchs, the issue was one of HGTV Magazine’s largest sellers to date. “We’ve shown without any doubt that people who love the HGTV network also want this kind of content in print,” he said. The magazine works with Scripps to ensure that TV programming consistently promotes a call to action to go buy the current issue at retail, and Hearst’s audience development staff works with its distribution partners to try to do innovative promotions and initiatives at retail, he said. “We also have to make the content fun, exciting and easy to follow through on—in terms of makeovers” and other DIY projects, Fuchs said. “At Hearst, our digital plays vary by magazine, but social and online are viewed as allowing us to have a conversation about the magazine—and the conversation is still largely about the print product,” Fuchs added. Insights from social media and online behavior also help drive how HGTV Magazine and other Hearst magazines “make that next issue exciting,” he said. As demonstrated by Hearst’s testing of HGTV, Food Network and Dr. Oz magazines on the newsstand prior to full launch, as well as its ongoing commitment to the newsstand channel, print continues to be “very critical and profitable” to the company, Fuchs stressed. In fact, Hearst is in the process of preparing to launch its first bookazines, priced at $12.99, with no advertising content, he reported.